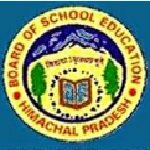 HPBOSE office assistant recruitment 2016-17 notification apply for 24 posts : Himachal Pradesh board of school education, Dharamshala welcomes application for the position of 24 junior officer assistant (Information technology) class III, computer programmer, driver and binder vacancies on adhoc basis. Candidates who completed their+2 class, Diploma, MCA, 10th class is a good opportunity.The individuals who are the occupation seekers searching for govt employments in Himachal Pradesh this is the best chance to apply. Competitors read the official notification then read all the guidelines and miners precisely then apply before the last date online application got. All the interested and eligible candidates can apply online before 14th August 2016. Candidates Age Limit: The age of the candidate should not be less than 18 years and should not be more than 18 years and should not be more than 45 years as on 14th August 2016. Academic Qualification Details: Candidates should have passed +2 class standard examination board / diploma in computer science / application / information technology. Academic Qualification Details: Candidates should have passed +2 class standard examination board and MVA or B.Tech in information technology / computer science. Details of Fee particulars: All the interested and eligible candidates are need to pay application fee Rs 600/- for general categories candidates and Rs 400/- for schedule caste categories candidates/ schedule tribe categories candidates / other backward class categories candidates through Challan or net banking or NEFT into the board bank account. Official website: All the interested and eligible candidates can apply online through official website of Himachal Pradesh board of school education www.hpbose.org from 22nd July 2016 to 14th August 2016.